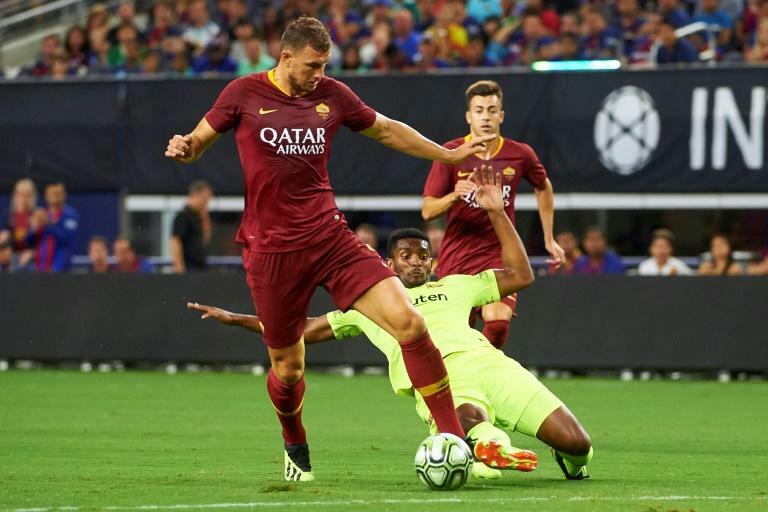 A late Edin Dzeko stunner gave AS Roma a winning start to their Serie A season at Torino on Sunday as the top three from last year's campaign all won their opening round of matches. Roma's only goal came one minute from time following spectacular play by new Dutch signing Justin Kluivert, son of former Barcelona striker Patrick Kluivert. The 19-year-old Roma newcomer dribbled from midfield past three players to provide the crucial cross which Dzeko converted, volleying into the far top corner. "I think it was one of my top three career goals," said Dzeko. "I saw Kluivert on the right and hoped he would cross it to the back post, which is fortunately what he did." Inter Milan -- fourth last season -- play at Sassuolo later on Sunday.